Fly - the British company that manufactures mobile phones and tablets. The company was founded in 2002 and has offices in the UK, France, Germany, Russia, Ukraine and Nigeria. The main focus is a GSM phone. The main markets for the company are Russia, Ukraine and India. Headquartered in London. December 2002 - Meridian Telecom Group. The company is headquartered in London, UK. 2007 - Beginning of cooperation with Opera Software, which resulted in the appearance of the Opera browser on all phones brand Fly. The appearance of the first phones with two active sim cards. 2008 - As a result of the brand Fly entered the Top 5 Mobile brands in Russia and won a large market share in Ukraine and Kazakhstan. Meridian Group buys WIZ4COM Technologies, to develop a design for their own devices. September 7, 2012 - the Company announced that from now on all mobile phones Fly will be equipped with two SIM-cards in standby mode. February 15, 2013 - According to the results of 2012 the company Fly for the first time in Russia became the third supplier in terms of sales of mobile phones and smartphones, surpassing the 4 th South Korean LG. August 2013 - In Belarus, the first certified Fly phones. The first "white" sales launched mobile operator MTS. 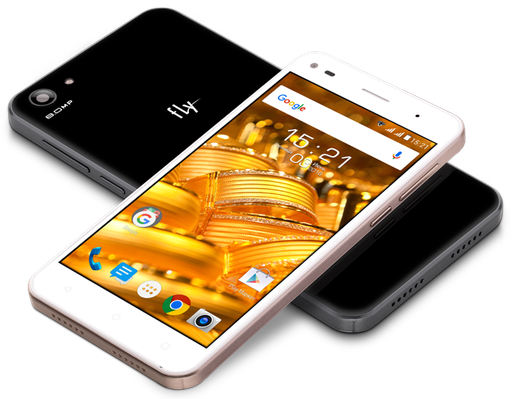 August 20, 2013 - A new flagship - Fly IQ4412 Coral, but it supports only one SIM-card, although the company previously stated that all of their smartphones will support 2 SIM. In the original, it Gionee Elife E5. first quarter 2014 - Fly took the second place in sales of smartphones in Russia, displacing Apple and Nokia. December 21, 2015 - Cell retailer "The Messenger" has sold the manufacturer of cheap gadgets Explay Fly British company for a fraction of its shares. The main asset that the transaction will go to the Fly, will actually Explay brand. Needless CJSC "ou" is closed. To date, the company has already dismissed the bulk of the staff (but continues to work as an accountant). For further use of his brand new owners will create a special entity. Fly will pay for the purchase with the "Messenger" package of its shares from 20% to 30%. It is expected that the transaction will close during the first six months of 2016. Since its inception and until 2008, the company had its production facilities, but in 2008 the company acquired the R & D-center specializing in the design. Until 2009, almost all of Fly phones are going to partner factories. Initially phones for Fly Bird and manufactured by VK. After Bird was bought by Sagem, Fly phones have become a firm order from Lenovo, Toshiba, Mitsubishi, ASUS and other manufacturers. Currently, the major handset manufacturers are Fly Company: Gionee, Lenovo Mobile Communication Technology Ltd, Inventec Corporation, TINNO Mobile, Beijing Techfaith R & D CO, LTD, Longcheer Tel co, Techain... Usually it is ready and producing phones that only localized for Fly and resold it. That is, the Fly is not involved in the development.